CLAVVS begin a new chapter with their fresh ‘No Saviors’ EP, a seductively dark and intimate alt-pop indulgence. I’ve never felt more creatively fueled – we know exactly what we want to say and how we want to say it. 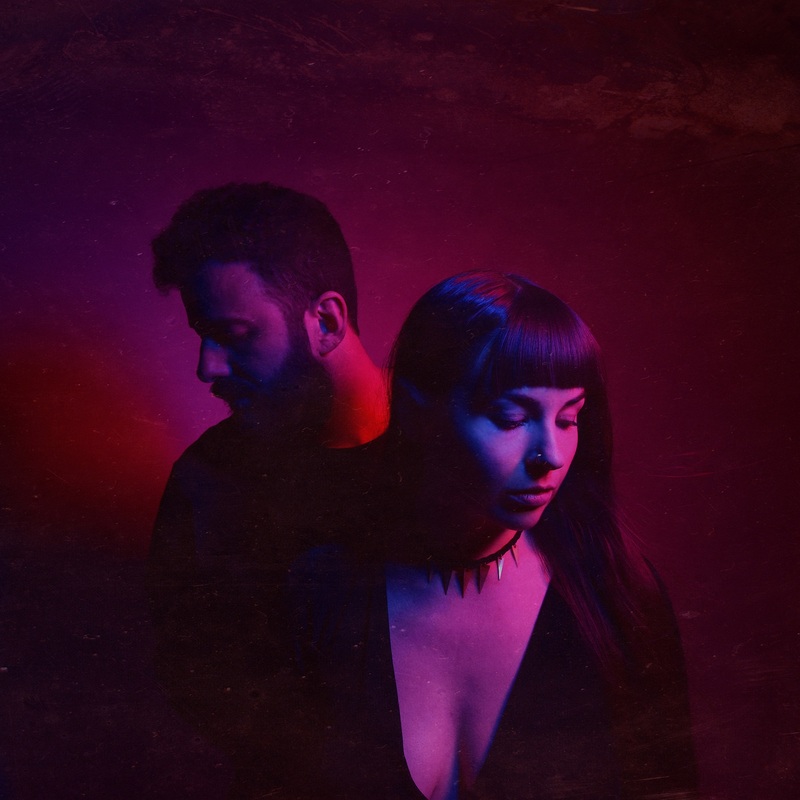 Alt-pop duo CLAVVS [pronounced “claws”] seduced us in 2015 with a spellbinding ambiance, engulfing their audience in a dark haze of mood, melody, and mystic lyricism that blended reality with fantasy. 2016’s debut album Halfblood and 2017’s sophomore album World Underwater invited listeners out of their comfort zones as CLAVVS unleashed wave after wave of mysterious, provocative delights. Earlier this year, Atwood Magazine spoke with Amber Renee and Graham Marsh about their big move from Atlanta to New York, their recent releases “Lay Back,” “Slow Dive,” and “Echo,” and the dedication and drive they consistently bring to their musical project. Now with over 50,000 monthly listeners, various licensing and sync deals, and both a management and publicity team in place, CLAVVS are no longer some cult indie act known only to a select few. The pair’s presence is growing at rapid clip; meanwhile, their music has never felt more intimate. Together, these six tracks find Renee and Marsh lifting the veil of fantasy that permeated their music in the past. The pair are as sure of themselves lyrically as they are musically, with Renee’s expressive vocals boomingly confident and Marsh’s production clean, clear, and decisive in its vision. 2019 marks an undeniably fresh new chapter for CLAVVS and their seductive alt-pop prowess. Experience No Saviors below, and peek inside CLAVVS’ EP with Atwood Magazine as the band go track-by-track through these six enchanting songs! Despite everything I believed for a long time, maybe I’m exactly where I need to be. Maybe I can just embrace who I am and let go of who I used to be. It’s difficult and things get tangled up, but this is me finding my way out. This song is about guilt. I’ve relived an old wound for too long and writing this felt like a way for me to name it and put it to rest. This is a response to my own negative inner monologue (and maybe also to a few jerks from the past). But it’s a reminder that I’m not broken. I don’t need fixing. I don’t need anyone or anything to save me. I’m good. Moving on is hard. This song is me wishing I could suspend a moment in air to have it forever. It’s about that conflicting feeling of wanting to stay when you know you have to go. I like to imagine feelings as colors and images. This song is about being so close to someone that you lose yourself in them and later, in the memory of them. I imagined it like basking in a warm purple ocean that slowly swallows you up. I wasn’t feeling particularly inspired when I wrote this song. I put a lot of pressure on myself to write, but I was feeling anxious and disconnected from myself creatively. So I wrote lyrics asking for help, and this song is what came out. It’s about looking inward and being gentle with yourself. It’s a nice reminder that we’re all a small part of something bigger.